The same as last year, the exhibition will be held in the building that has “Preston Bradley Center” on the awning. It will be on the 4th floor. There is a poster on one of the doors for the show. This will be our third year supporting the Artist in Residence program from Hokkaido, Japan. Members from last year will be returning as well as new additions. 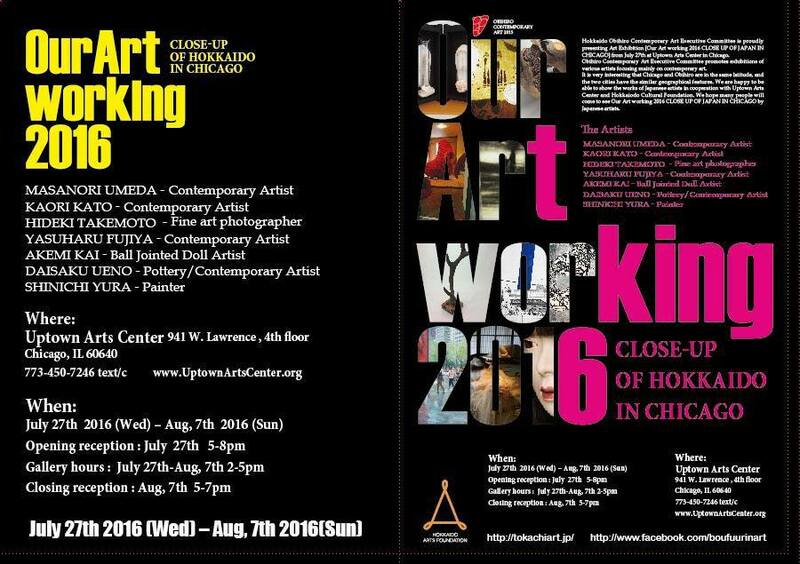 Please come out, meet these artists and view their work! If you can’t make the opening, the exhibition itself will run until 8/7.